The way Talk N Text retails their promos are much cheaper than the other networks. One of the proofs is the U150 bundles that give you unlimited texts to Smart, TNT and Sun Cellular for only 150 pesos with up to 30 days validity. It also includes 150 minutes tri-net calls and 150 texts that you can use to message you love ones and friends to all networks. You can also enjoy internet access using Facebook, Twitter and Viber with the 30MB consumable data allocation daily. 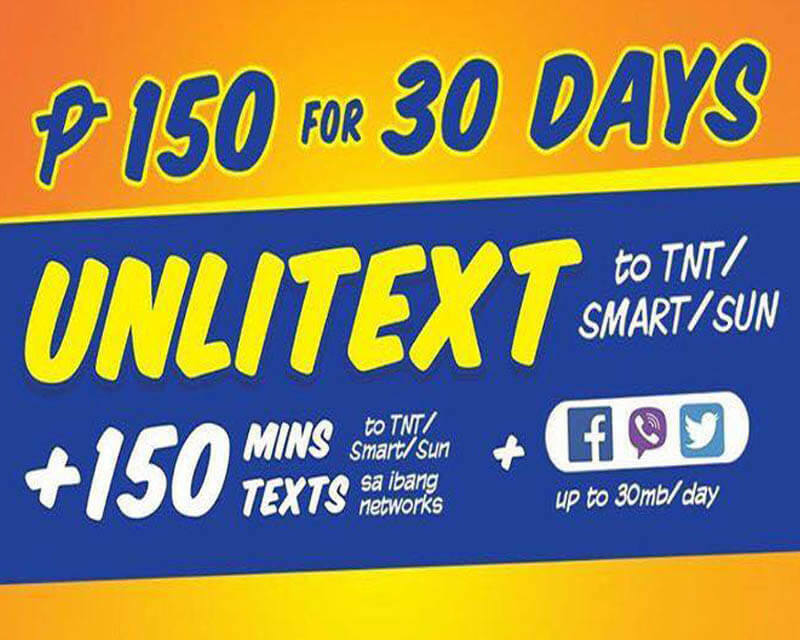 If you compute your daily usage, it only cost you 5 pesos per day to enjoy unlimited texts, call and data with this promo offer. To register, you need to reload your TNT prepaid account with Php150.00 then text the keyword or ask your retailer to load the promo to your mobile number. Just text U150 then send to 4545. Check out all the latest Talk N Text promos. Wait for the SMS notification after you successfully send the code before you start using the U150 to avoid unwanted load deduction. To call, just dial the 11-digit mobile number of the person you are trying to contact. Using the data needs one of the apps installed on your phone and good quality signal reception for faster internet browsing.